Five life sciences companies have been crowned as national winners at the Medilink UK Healthcare Business awards 2017. The awards and gala dinner, which took place on 26th April 2017, celebrated outstanding business achievements, international success and innovative breakthroughs across the life sciences and healthcare technology sectors. The evening was held in partnership with the Med-Tech Innovation Expo; The UK’s leading Medical Technology Exhibition and Conference at The Ricoh Arena, Coventry. Winner: Oxford Heartbeat, from London, whose technology makes cardiovascular surgeries more accurate and safe by helping clinicians to accurately plan and rehearse stent placements inside blood vessels. Runners-up: Creavo Medical Technologies from Coventry, which develops innovative diagnostics technology for acute medical settings, and JimJam Healthcare Ltd from Gateshead, a platform that provides online access to physiotherapists via video. Winner: Sheffield Precision Medical Ltd from Sheffield, which provides orthopaedic instrumentation solutions. Runners-up: Datalink Electronics Ltd from Loughborough which is a leading accredited contract electronic product design and manufacturing company, and Vernacare from Bolton whose single-use ‘Vernacare System’ of hygienic patient toileting is used across healthcare facilities globally. 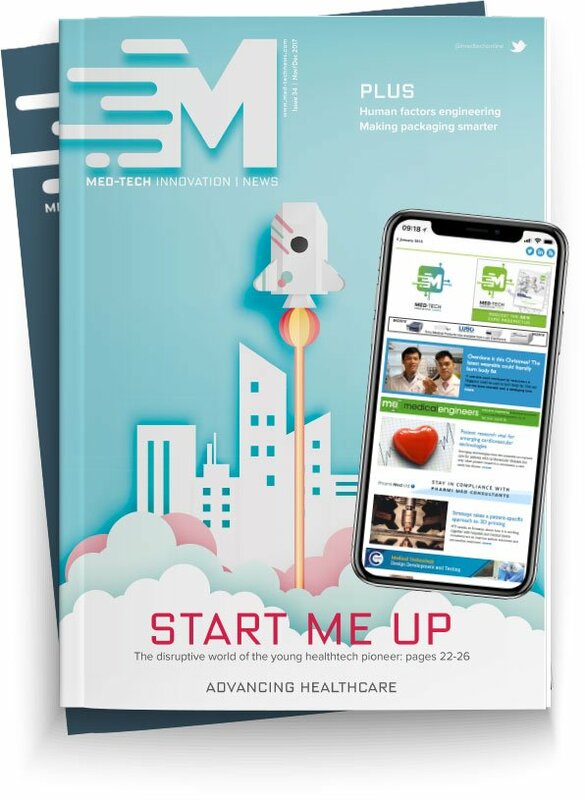 Winner: Sky Medical Technology Ltd from Cheshire, which manufactures the geko™ device, clinically proven to increase blood circulation for DVT prevention, the reduction of oedema and the promotion of wound healing. Runners-up: Rocialle from South Wales which is a leading supplier of procedure packs and surgical instruments for hospitals and distributors, and Idox(formerly 6PM Group) from Burton on Trent which develops leading edge solutions to improve patient experience and keep the health service sustainable. Winner: Lightpoint Medical Ltd, from Chesham, which is a medical device company dedicated to improving health outcomes for cancer patients through image-guided surgery. Runners-up: Neem Biotech from Abertillery which creates healthcare solutions from natural products, and Chemviron Cloth Division from Sunderland which is a world-leading manufacturer of 100% activated carbon cloth for use in a number of medical applications. Outstanding Achievement sponsored by Morningside Pharmaceuticals Ltd: Winner: Tissuemed Ltd from Leeds, whose unique surgical sealant, TissuePatch, is used to enhance surgical tissue closure, helping avoid complications and improve patient outcomes. Runners-up: Crawford Healthcare from Cheshire which is the UK’s fastest-growing advanced wound care business, and QuantuMDx from Newcastle which is dedicated to improving global healthcare through the development of transformative diagnostic tools and technologies. The 35 nominated organisations were all winners of the regional Medilink awards held throughout the past year across the UK, and the national winners were selected by an independent panel of judges. The evening commenced with networking and a drinks reception, sponsored by Eventum Partners Ltd. Justin Moorhouse, stand-up comedian and actor, presented the awards and provided fantastic entertainment throughout the evening.